The early consensus seems to be that Google Plus has a lot of potential, with services that could aid collaboration and communication in the classroom. Hangouts, for example, allow video chatting with up to 10 people, including the ability to jointly watch YouTube videos. Sparks provides a collection of posts on a particular topic, a way perhaps for students to gather research. And most notably, Circles allow users to sort their various contacts into social circles, giving them a more granular level of control with what they share. "We always encourage extending the conversation beyond Twitter. That is crucial to seeing actual change happen in our schools." Google has been blasted by technology observers for its recent "social" failures - Google Wave and Google Buzz, namely. 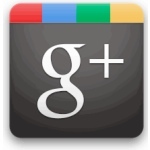 But the reception to Google Plus has been quite positive. However as a new social network emerges here -- a successful Google network -- new questions emerge, particularly for those active on other sites: do we relocate our efforts to Google Plus? Do we replicate our efforts there? Do we have time for multiple social networks? For those already active on Twitter, for example, it seems rather daunting to try to recreate that network on Google Plus. I'll speak for myself here: I follow a lot of educators on Twitter; I have a lot of educator followers. I've tried to find folks on Google Plus and add them to my "ed-techies" circle, but that's easier said than done. I've also been added to Circles by educators I don't yet follow on Twitter, and then I feel like I should add them there too. For the time being, it feels as though I need to cover my bases and work with both networks, but I'm not sure if that's sustainable. It isn't simply a matter of recreating a personal learning network of people either. Twitter has also become a site for many important events, including the weekly EdChat where educators discuss a particular topic on Twitter using the #edchat hashtag to gather and track the conversations. As it currently stands, there are no hashtag-like conventions by which people could replicate this discussion on Google Plus. There's also no search and no public archives (yet). And while one of the major promises of Google Circles is to have better sharing and privacy controls, this doesn't necessarily work for a public forum like EdChat, as private circles could leave out educators who weren't "in the know" (or in the Circle, more precisely). Conversations on Circles could also be easily fractured as an original post is shared by people to other circles whereby follow-up comments are then in multiple locations. Shelly Terrell, one of the co-coordinators of EdChat, responded to a question I posed on Google Plus about the future of PLNs with the advent of the new social networking site: "I think Edchat has to stay on Twitter because it started there, so will stay there unless Twitter vanishes. It would be difficult to switch forums but I think Google + may be great for discussions and definitely collaboration....I see this replacing groups like Yahoo groups and Google groups because it seems effective for a smaller, more intimate collaboration. These are just initial thoughts though. Twitter anyone can chat in quick bites so it is a great forum for talking among colleagues or those we are first getting to know. Twitter isn't necessarily where I would share private information with a close group or collaborate with a small group." Indeed, Twitter is where many educators have come together to formulate their professional learning networks (PLNs). But Twitter is still daunting to many people, and while Google Plus remains closed to the general public at this stage, it is possible that its integration with the more familiar Google suite of tools (Gmail, Google Docs) could make it a more accepted place for educators to gather to share their ideas. Of course, it's early -- too soon to tell if the initial interest and uptake by early adopters will be sustained and will spread to the rest of the population. Another Edchat co-coordinator, Kyle Pace notes that "#edchat wasn't designed to 'live' only in one place. We always encourage extending the conversation beyond Twitter. That is crucial to seeing actual change happen in our schools. If all we do is talk for an hour on Tuesdays, there will never be any 'walk' to match the talk." Indeed, it's worth considering some of the implications of putting all one's effort into any one service -- whether it's Twitter, Google Plus, Facebook, Ning or a multitude of others. Teachers, what are your plans for using Google Plus -- not just to communicate with your students, but to communicate and collaborate with one another?